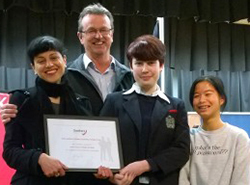 An inaugural writers festival, community garden and innovative learning program are among the exciting initiatives that Danihers Facility Management will sponsor in 2015/16. At Danihers we take pride in giving back to the communities that we operate in. We are more than a supplier or contractor – we are a member of close-knit teams. We are a member of our clients’ communities and they are a big part of ours. Through our community and sponsorship strategy we aim to stay true to our values and never lose sight of our beginning as a family business. For this reason we support a range of community programs that create a positive difference for the community, our clients, their staff or students, and our team members and families. In August, we are thrilled to support Our Lady of Mercy Heidelberg’s Writers Festival which will highlight the importance of arts and writing throughout the school and wider community. 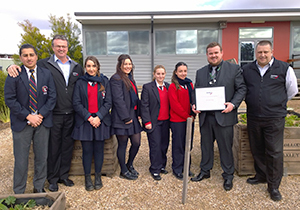 Another valued client, Kolbe College, will develop a Community Garden for students and community groups, and Presentation College Windsor is sharing their knowledge and experience with local primary schools through their Bright Sparks innovative learning program. OLSH Bentleigh’s Outdoor Education Initiative. This follows on from the exciting projects we sponsored in 2014/15, including a Human Powered Vehicle program at St Peters College, a community games event at Mazenod College and a social justice program at St Monica’s College. Stay tuned for more news about key initiatives from our community and sponsorship program for 2015 and 2016.